Everyone knows I love themes, my husband always laughs at me for this…whether it’s for presents or parties or even arranging items on our bookselves…themes are my jam! 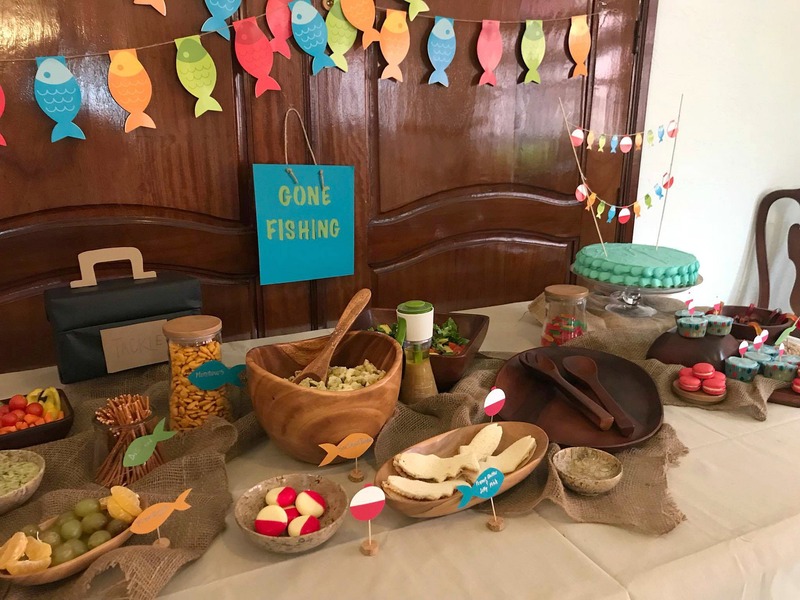 When the time came to celebrate my son’s first birthday, I was in heaven. 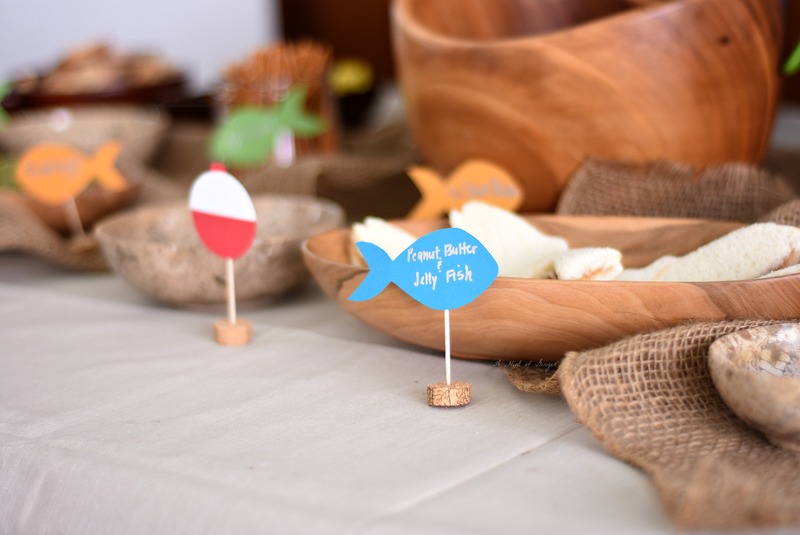 Now, realistically we didn’t need a party or a theme or anything of the sort…tater won’t remember and there are so many more to come but this stuff makes me happy so I simply couldn’t resist. 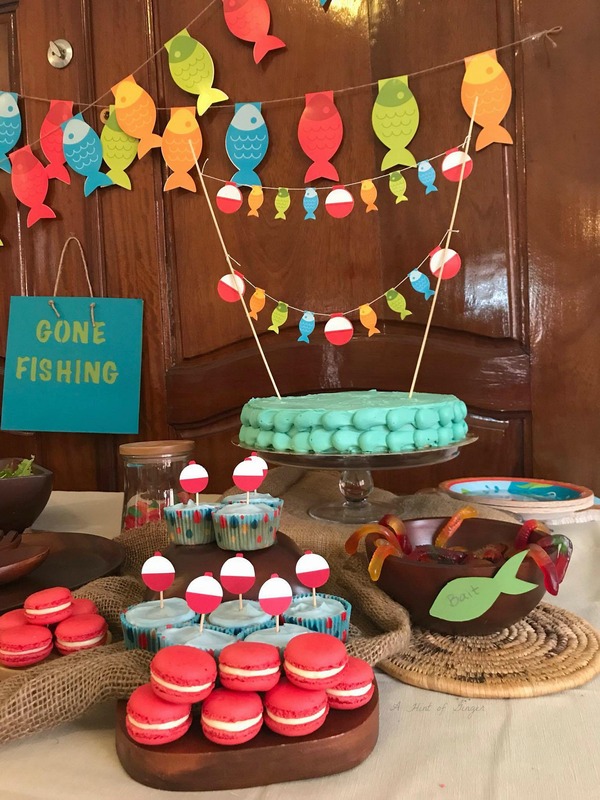 In an effort to not go too completely overboard (again, there are many more birthdays to come and ones he will actually remember), I set myself a small budget for decor and miscellaneous things I was planning aside from the party food itself to make this the best “O-FISH-ally One” party ever. 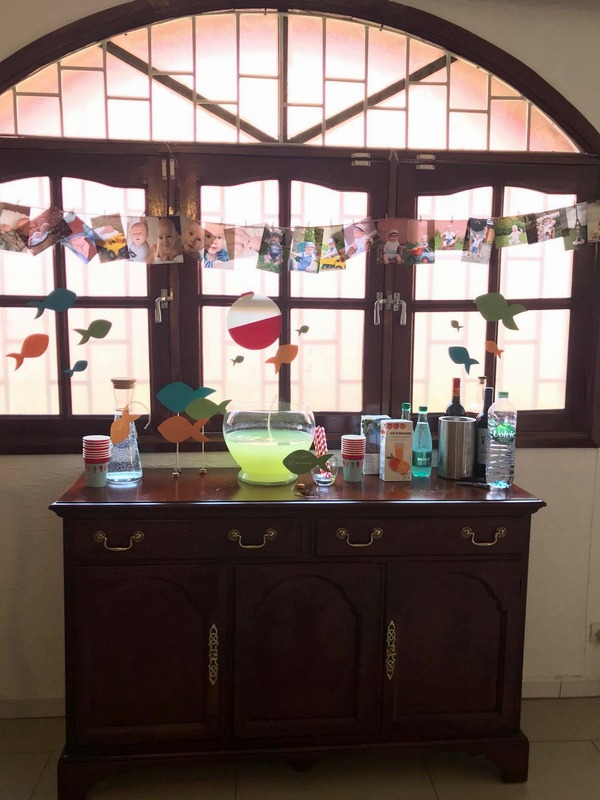 I started by brainstorming what I was envisioning for the party and decor and figuring out the number of invitees. I looked through Pinterest and other blogs and Google image searches and formed a picture in my head that I could build upon and plan around. I looked through what we had already or could repurpose to reduce costs. I searched around locally to get an idea of what things I can get here and for how much. Putting together a list that I could then check twice when I saw what it tallied up to. Now came the reigning in part. Of course, I’d love anything and everything but I’m trying to practice a more “simple is better” mantra. Much more important these days with a crawling tot to chase around. Looking through the list: we needed stuff to eat off of and to drink from. Plates and cups, done (from Oriental Trading)! We need something with the theme to decorate with. Fish banner for the wall, done! Now onto tying the theme into the food. For the little munchkins at the party, peanut butter & jelly fish sandwiches, so I needed a fish shaped cookie cutter, done! Snacks like goldfish and swedish fish, couldn’t resist, done! Lots of burlap, ribbon, and craft paper already waiting to be made into something nice, free & done! 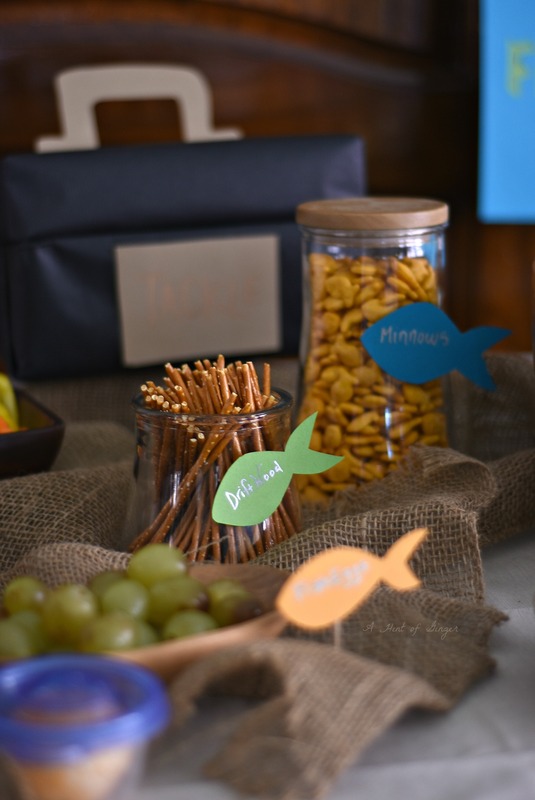 I was set to make my out high chair garland, sign, additional decorations, and food labels. Baskets, a shoe box-turned tackle box, burlap table runners, and brown metal tins, I could work with all of these to bring out the theme. For entertainment, I printed out some coloring pages of fish images, tunnels and ball pit with a Finding Nemo inflatable ball and an inflatable fish (both found cheaply here), and a tub filled with water with floating fish and fishing rods (although this didn’t get used since all the children in attendance were too young to enjoy. Dessert: Thanks to Nougatine, we brought the theme all the way into dessert with a cake reminiscent of waves and red & white macarons. And of course, we couldn’t pass up gummy worm “bait” in oreo dirt and swedish fish. And to finish off this milestone, I got my wish of doing a cake smash with our tater…although, he really wasn’t much for smashing but he was a great sport to let mommy photograph him playing around with his candle and getting blue icing all over. 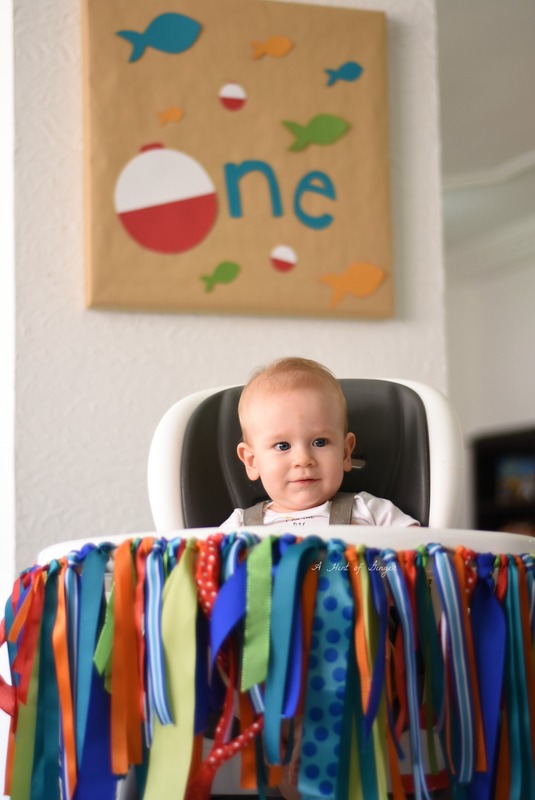 Even better, I was able to repurpose the high chair garland I made as well as the balloons from his party the day before. For his cake, I used a recipe from Kristine’s Kitchen with a frosting of cream cheese flavored with a little maple syrup and made blue with natural food coloring.